In the wake of the global finance crisis, fine art and especially vintage cars have seen a remarkable increase in value – up to five or even ten percent per year. This comes as no surprise given that the market for artwork and vintage cars is governed by a highly limited and finite supply coupled with virtually unlimited capital availability. In addition to the investment aspect, many such investors tend to be vintage car enthusiasts or even hobbyists. This element also helps explain why this very interesting asset class can be unpredictable and difficult to assess. 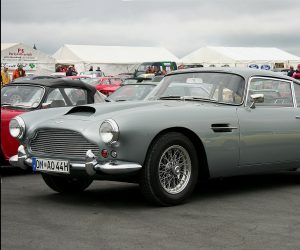 A vintage Aston Martin, Bugatti or Ferrari is generally regarded as a very secure investment. These brands enjoy legendary prestige, and prices for vintage sports cars have risen steadily over the last three decades. However, many vintage cars are not secure investments. These include many pre-war vintage cars as well as the vintage Ford Mustang. At the major classic and vintage car auctions, such vehicles usually sell for well below their purchase price, if they sell at all. Investors who choose unwisely or base their purchases on faulty market projections are liable to incur a significant loss. Investors who do not wish to rely solely on their personal preferences or life experiences but who are seeking a safe and profitable investment are well advised to consult an expert who is knowledgeable about vintage vehicles and their price development. This, of course, must be coupled with careful asset-value management services. After all, two things are crucial for the long-term maintenance of this class of asset – top-notch asset management and a top-notch car mechanic! € & $ – Close Friends?